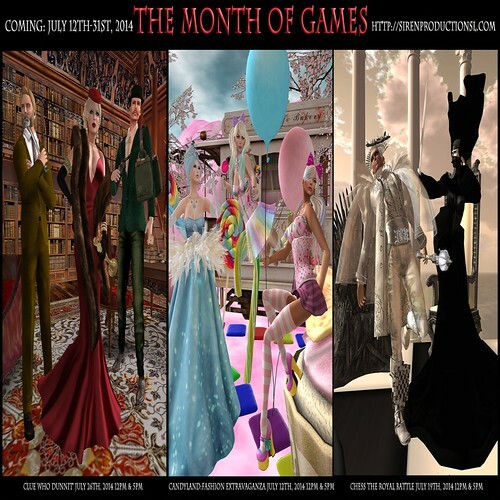 The Month of Games is officially open! Come down and smell a little sweet success with deliciously delightful candy couture. Figure out what your fashion strategy will be for a chess battle royale! Super Sleuth your way to some amazing designs in Clue Mansion. We are kicking off today with our Candyland Fashion Extravaganza at 12pm & 5pm SL. Join Boulevard, SCALA, BOSL and all our amazing sponsors for a delectable morsel of fashion finery and confectionery couture today at noon.